Bram Towbin, Central Vermont TV Board of Directors. 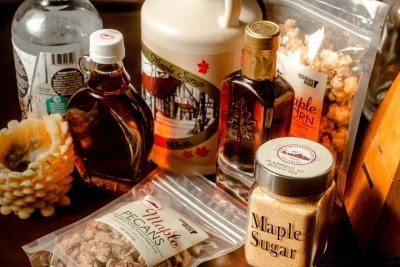 Plainfield, Vermont features a number of wonderful maple sugaring farms. The local trees are tapped and the sap is boiled down on site. In addition to providing the different grades of syrup, some offer other products. Farnham Farms offers maple-flavored popcorn, pecans, and raw brown sugar itself. The three generations of Farnhams all take part in various aspects of the farm. At the opening of the 2018 season, the Farnhams joined with another Plainfield native, Ryan Christiansen, the head distiller at Caledonia Spirits. Caledonia Spirits produces gin, vodka, and other specialty alcoholic beverages. In collaboration with the Farnhams, Caledonia Spirits used the family’s maple syrup for the basis of a vodka. It is available in limited quantities. Using the Farnham's raw maple sugar and/or maple pecans would be a welcome enhancement to any recipe!